B.O.B Books has struck again. 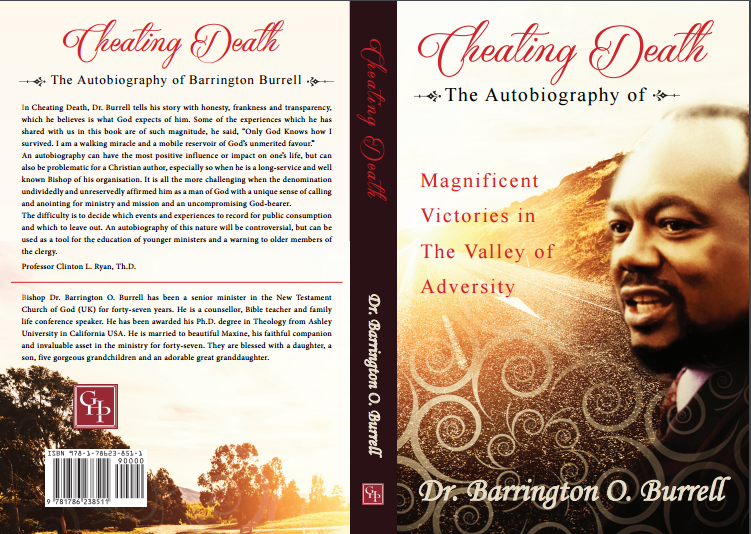 The latest book ‘Cheating Death’ from Dr Barrington Burrell is finally here! It has arrived. Many people lined up to get their book and have it signed by the author himself at New testament church of God, Cathedral of Praise in Wood green on the 7th of May 2017. It has been guaranteed that this book will reveal so much for every reader. There has never been a book like this one before. Use the ‘check them out’ button below to go straight to the amazon page to get your own copy. Check it out. A good book can be entertaining. A good book can contain good knowledge, A good book can impact and change your life. So imagine what an awesome book can do. B.O.B Books have books on culture, marriage, success and more. Already many are waiting for the next book and making orders. The button below will take you to B.O.B Books amazon page where you can see all the other books that Dr Burrell has produced.